The Clifton Opera House is going to be swingin' with the return of the Back Porch Swing Band on Sunday afternoon, March 27th at 3pm. They will be bringing their old timey flavor and swingin' rhythm to Clifton. This group combines the talents of several noteable musicians responsible for the tapping of thousands of feet across Ohio for the last 15 years. 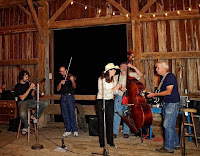 The band specializes in Western Swing, but plays several musical styles , ranging from Appalachian tunes, Blues, Old Country & Folk, to Swing music from the '20's, '30's, '40's. Requests from the audience are frequently honored. Dance music includes swing, two steps, waltzes, polkas, shaddishs, and square dances. Grab your partner, those aisles were made for dancing! 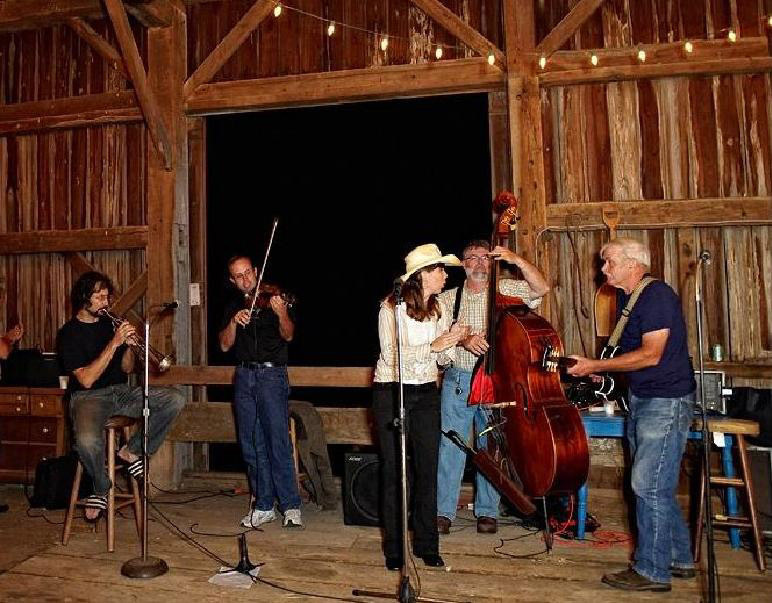 The group consists of Pete Shew, lead vocals and guitar; Adam Jackson on fiddle; Kris Geis does their lead and harmony vocals; and Dale Irwin on upright bass. The historic Clifton Opera House is located at 5 So Clay Street, Clifton. Box office opens at 2:00pm. Call 937.767.2343 for information.